Malaga still seems to be somewhat off the beaten track when it comes to tourism. Many tourists pass through the city’s airport but are missing out on a real gem by heading to their resorts and never venturing into the city. It’s a real shame because Malaga is changing rapidly. Get there before it’s too late! 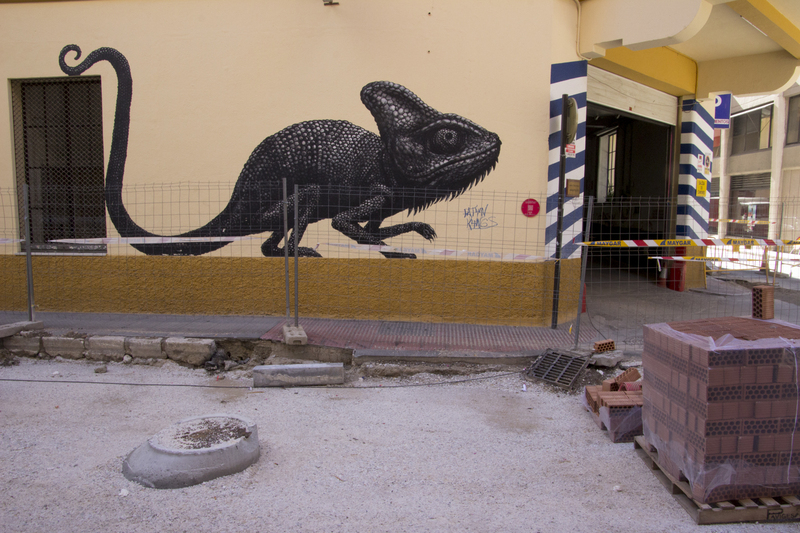 On a recent visit I wanted to see the murals of Malaga’s SOHO district. It’s not as sleazy as it sounds, and I did in fact really like the area. It’s just a pity that finding information was so difficult. Even the Tourist Information didn’t have much information. They simply drew a ring around the SOHO area on my map but what I really wanted was a guide to the murals. It seems that, had I asked when I visited the Contemporary Art Museum (CAC), I would have been given a guide. I didn’t realise I had to ask as I had expected such things to simply be on display and free for me to take. You can download a copy of the leaflet but it is the 2013 version and it’s really hard to read on a smartphone as you wander around the streets. CAC itself is well worth a visit. There is a wide variety of art on display but make sure, if there is something specific you want to see, that the exhibition is still on! The works I was interested in were no longer on display. Oh well, at least I enjoyed (most of) what I was able to see. Renowned Chinese artist Ai Weiwei is currently displaying his metal sculptures of the Chinese zodiac. There is a particularly odd exhibition at the moment which I have to confess, I did not understand at all. A collection of Romanesque statues, gleaming white, seem to have been disembowelled and a lurid pink flows out of them. Not quite to my taste but Marina Vargas must know what she was trying to say! Back out in the streets there are some large murals attached to buildings around the SOHO area. Designed by a variety of artists, they certainly make you look up rather than down as you explore the district. Maus Malaga have a website explaining everything from the background of the artists to the story behind the extraordinary pictures. The punk-art style fighter pilot was a personal favourite. 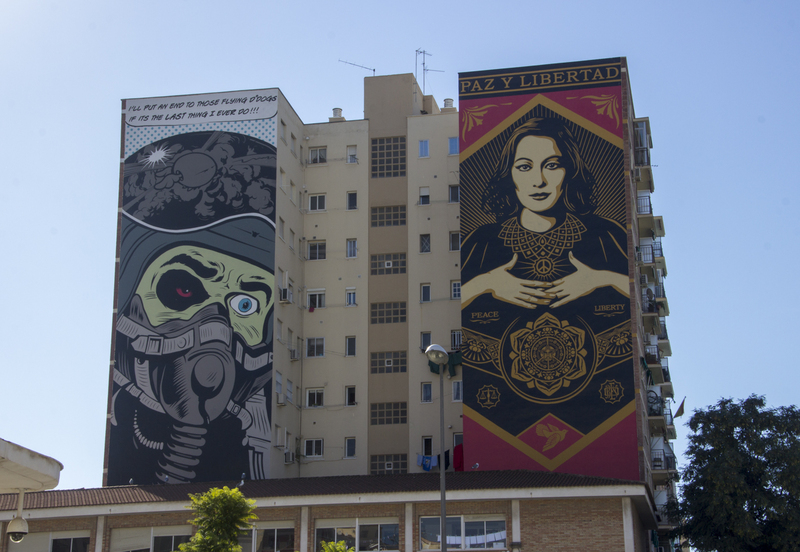 Around the streets you will find many works of art – some sanctioned and others not. Street art is a personal thing and whilst some will consider all of it graffiti, there’s no doubting the artistic merits of most of it. Some of the works are currently slightly obscured by roadworks which was annoying, but if street art is your thing, you’ll definitely enjoy exploring the streets of SOHO for a couple of hours. Enjoy my gallery of pictures or, better still, go and see them for yourself.